Small Split container is perfect for storing and traveling with side items and snacks, this one cont.. The Sistema Multi Split To Go is great for taking your snacks on the go and features a split desi.. The 2L Sistema container is perfect for lunch for school or work, for storage (lego, craft, Lego, nu..
Multi-compartment lunch box designed for lunch on the go Flexible seal helps keep food fresh an.. 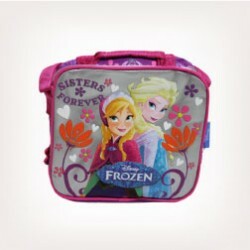 Triple Split Lunchbox is part of the Sistema Lunch offer and is designed specifically for packed lun.. Snack box designed for snacks and dips on the go Flexible seal helps keep food fresh Featurin.. The perfect lunch box for those of you who like variety for lunch and a snack with coffee. With thre..
Multi-compartment lunch box Compartments keep food separate and protected Distinctive Sistema..
1 x Sistema Lunch Sandwich Box, 450ml, Assorted Colour. Top rack dishwasher, microwave (without lid)..
Made of three parts and features wide mouth access for adding ice and fruit to drinks ..
Sistema To GoSistema To Go range is suitable for busy lifestyles.Containers designed for kee..